John Morgan is an artist that uses wood burning tools and stains to make incredible art. His latest canvas of choice has become skateboard decks. 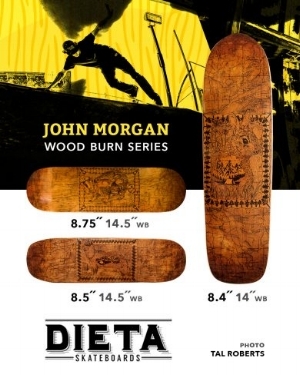 Dieta Skateboards and John have collaborated for their latest deck series. This video below takes a look behind his creative process on and off the board. Dieta Skateboards are distributed in Canada by Platform Distribution.